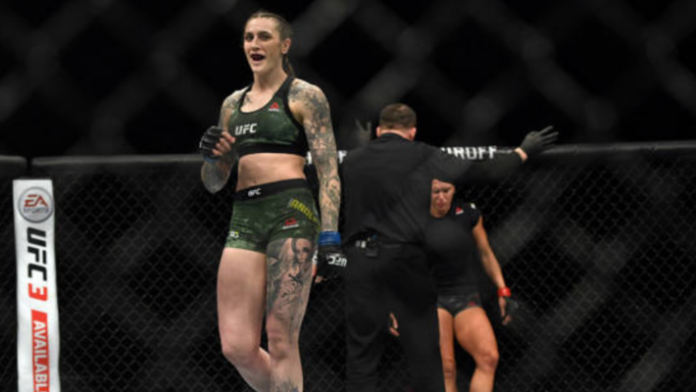 Megan Anderson has an opponent and date for her return to the Octagon, as the former Invicta featherweight champion will be taking on the undefeated Felicia Spencer at UFC Rochester on May 18, as originally reported by The Daily Telegraph on Monday. Felicia Spencer is also a former Invicta featherweight champion, with the undefeated fighter winning the title in her most recent bout last November with a submission victory over Pam Sorenson at Invicta FC 32. The undefeated Spencer currently has a record of 6-0 and will making her UFC debut at the Rochester event. That fight has been found and it takes place at the Blue Cross Arena in Rochester, New York on May 18. Whom do you think will emerge victorious from this featherweight bout at UFC Rochester? Megan Anderson or the undefeated Felicia Spencer?